The following are questions the Shanghai Crash Test Dummy has been asked since starting this video blog. We answer them here in the hope that people will stop asking us. Shanghai Crash Test Dummy: Yes. SCTD: See above. In my defence, I grew up in Basingstoke. FAQ: How long have you been cycling in China? SCTD: I wobbled my first rented Flying Pigeon across Tiananmen Square in 1989. I kept a Phoenix in my company warehouse in Fuzhou for five years and commuted through the hutongs in Beijing for two years in ’97 – ’98. 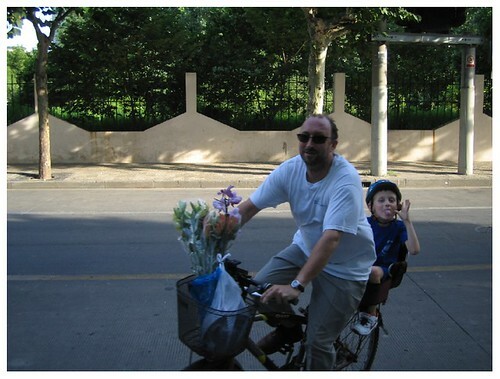 I’ve been cycling in Shanghai since 2003. FAQ: Have you had any accidents? FAQ: Have you ever had your bike stolen? SCTD: It’s China – who hasn’t? I’ve lost four. FAQ: Does The Crash Test Dummy have a motto? FAQ: Does Wingman ever misbehave on the bike? FAQ: Who the hell are you? SCTD: Jonathan Robson IS The Shanghai Crash Test Dummy. Former stagehand, fish farmer, vending machine tester, tractor driver, ballet shoe maker, aquarium project manager, science museum design manager, Christies auction assistant, goldfish salesman, film extra and “Guy Tai”. Currently: researcher and writer for an urban planning company.